Pep Guardiola has asked Man City to do ‘everything possible’ to land a deal for Real Madrid and Germany star Toni Kroos. 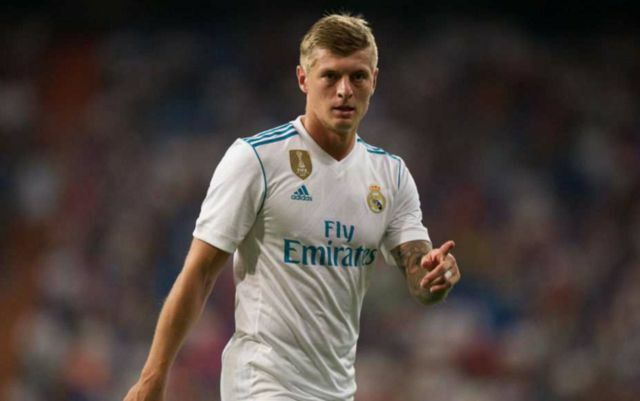 This is according to Don Balon, who note that Guardiola thinks Kroos would be an fantastic acquisition for the Premier League champions to make, and that Man United are also keen on landing the German’s signature. The report also notes that Kroos isn’t United’s first option to bolster their midfield, as the Red Devils have Barcelona star Ivan Rakitic down as their primary midfield target. This could mean that if Mourinho’s side sign the Croat, City should be in the clear to go all out to try and bring Kroos to the Etihad, something we’re sure both Guardiola and their fans would love to see happen. Kroos is one of the best midfielders in the world in a lot of people’s view, and signing him would surely see City be able to boast having one of, if not the, most talented midfields in world football. 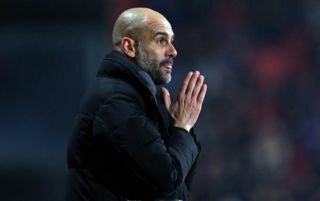 The former Bayern Munich star has already worked under Pep Guardiola during the duo’s time at Bayern in the 2013/14 season, so the 28-year-old should be familiar with the Spaniard’s coaching methods. Guardiola has requested that Man City go all out to bring Toni Kroos to Manchester. Kroos has been a key part of the Real side that have won the last three Champions League titles, with his partnership with Luka Modric being one of the main reasons why Los Blancos have been so successful in Europe. If Man City do listen to Guardiola, it’ll be interesting to see if they manage to land a deal to bring the German to the Premier League, and how much it’ll eventually cost them.